Once upon a time Addie Hutton was the daughter of a wealthy, widowed judge, and the two most important people in her world were Eliza, the Huttons’ housekeeper, and Frank Raynor, the lost, young boy whom Eliza invited into her heart and her home. Addie and Frank grew up together, fell in love, and planned to marry. But when Addie went away to college, they grew apart, and Addie broke the engagement. She and Frank went on to build separate lives and to marry other people. More than a decade later, Frank, now chief of police in Pine Crossing, Colorado and a widower, owns the big house where he lives with his seven-year-old daughter, Lissie. Her goal in life is to be an angel in the Christmas pageant at St. Mary’s Episcopal School. Divorced after her husband left her for a younger woman, Addie is broke and jobless, blacklisted as a journalist because she trusted a lying source. The day after Thanksgiving, she returns to Pine Crossing, but this time she will be renting the garage apartment where Eliza and Frank lived all those years ago. Addie has hardly arrived when she is joined by Henry, the six-year-old step-son whom she loves as if he were her own. Henry has been placed on a bus by his irresponsible father and sent to live with Addie for an indefinite period. Lissie and Henry bond over an old, homemade matchbox Advent calendar, the same calendar that Addie and Frank once shared many holidays ago. What follows is a bit of history repeating itself as a motherless girl and a lost, frightened boy become fast friends and a man and a woman, battered by the slings and arrows of grown-up lives, renew the tie of friendship that once bound them together. Amid Christmas decorations, children’s dreams, and a caring (mostly) community, Addie and Frank fall in love again. With a little seasonal spirit, their story could end not only with a happy Christmas but with a happy ever after for all--including Floyd, the chubby beagle. This Christmas novella is a digital reissue, so it is not a new book. Nevertheless, it is one of my favorites among this year’s holiday offerings. I have a soft spot for reunion romances, I love believable kids in Christmas stories, and I am always looking for a new Christmas keeper that offers more than tinsel and frolics under the mistletoe or elsewhere. This one met all criteria, and it even has a tiny redemption story for a mean teacher. It is a gentle, sweet, heartwarming story with a home-for-Christmas theme that works on multiple levels. I think it’s just what Santa ordered for readers who love a sentimental, feel-good Christmas romance as much as I do. 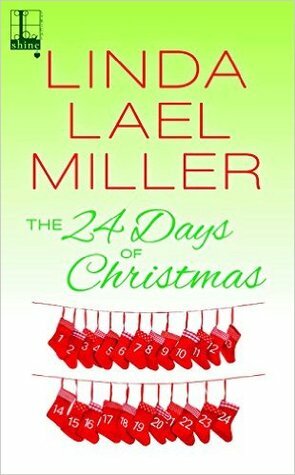 I love Linda Lael Miller and your wonderful review means I have to get this book. 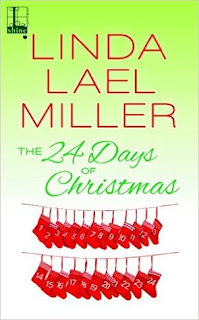 I enjoy Linda Lael Miller's books. This is my kind of story. Throwing in a beagle clinched the deal. I will be adding it to my Christmas library.